Now this is a real tough one for me. Not because I can't choose between them but because I don't really have a favourite. 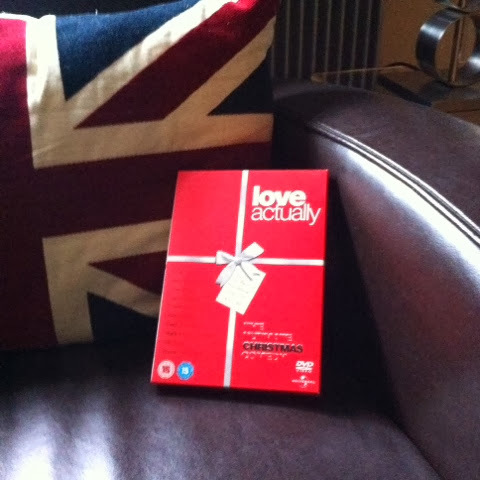 So I've chosen Love Actually mainly because I have it on DVD - it was a present! You never know this may even prompt me to watch it again and rediscover it! I'm not totally averse to watching films or DVDs, although it's true I rarely go to the cinema. I'm currently watching the latest series of The Good Wife on DVD - that's because it was on over the summer when our TV was mostly unplugged and covered in dust sheets!